It starts tomorrow, so we checked into our hotel and then went out for some authentic Chicago pizza. It was INCREDIBLE. 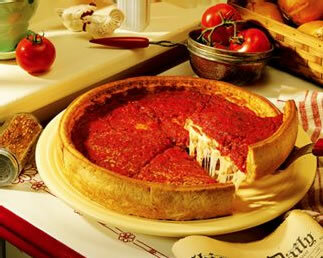 We ate at Giordano’s and it was unlike anything I’ve ever had. So we’re doing well, have had some good conversations, are looking forward to being challenged by the exposition of 2 Timothy at the conference, and are now back in the hotel room, resting up for the start of the conference tomorrow (Tuesday). Thanks for your prayers! We’ll try and post a bit of news from each day while we’re here.